Honourable Joang Molapo is the Minister of Tourism, Environment and Culture. He resumed this position following Cabinet reshuffle in February 2019,. 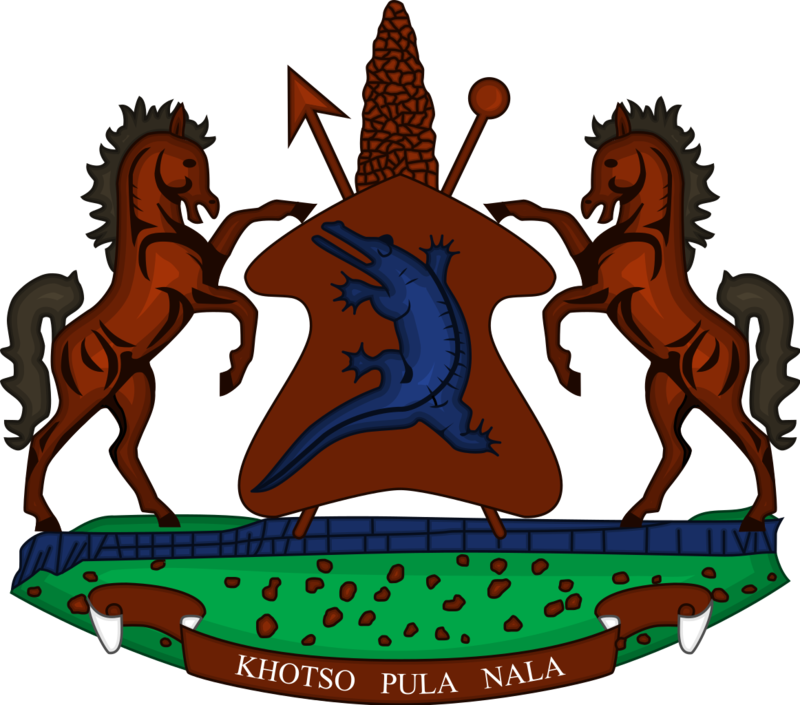 Honourable Molapo is a Member of Parliament by virtue of Proportional Representation (PR) representing the Basotho National Party (BNP). He is the gazette Area Chief of Mohopong and Bokong in the Leribe district. Before assigned to his current position, he served as Minister of Public Service, the position he resumed in April 2018 after serving as Minister of Communications, Science and Technology from June 2017 to April 2018. His appointment in the Ministry of Communications, Science and Technology followed the snap elections held on June 03, 2017. He attended various primary schools from various countries and this include; St. Joseph Elementary New York, in the United States of America (USA) from 1971 to 1972. From 1972 to 1974, he was at Roosevelt Elementary School, New Rochelle in New York, USA and British School Tettrain in Iran from 1975 to 1976. From 1976 to 1977, Honourable Molapo attended Albert Leonard Jr. High School in New York. He completed his high school education at Machabeng in Maseru. Lesotho. He enrolled with the National University of Lesotho from 1983 to 1985 majoring with Maths and Physics. He went further to study at Loughborough University Loughborough, Leicestershire where he graduated with B.Sc (Hon) Civil Engineering in 1989. Honourable Molapo has worked as Design Engineer in various companies and places that include; Croswel Shephard and Partners in Johannesburg from January 1990 to July 1991, Highlands Water Venture Katse Dam from August 1991 until June 1994, Lesotho Consulting Engineers in Maseru, Lesotho from August 1994 to June 1995 and Matsoku Dam Partnership in July 1995 until December 1996. He served in the position of a Director in various companies and places since January 1997 to June 2012. Thus, from January 1997 to December 1998, he worked at Ninham Shand Consulting Engineers in Port Elizabeth, South Africa, Jeffares and Green Consulting Engineers also in Port Elizabeth, South Africa from January to December 1999, and Lukhozi Consulting Engineer still in East London, South Africa from January 2000 to October 2002. He moved to work at Civil and Rural Consulting Engineers still in East London, South Africa from November 2002 to October 2003. In November 2003, he worked at Karabo Consulting Engineers, Pretoria in South Africa until 2006 in January. From November 2006 to October 2007, he was at Moxhomo Construction in Johannesburg, returned to Croswell Engineers in Johannesburg from November 2007 to December 2010 and Molprocon Bloemfontein in South Africa from January 2011 to June 2012. In July 2012, Honourable Molapo was appointed to the position of Minister of Home Affairs where he served until March 2015. Following the 2015 elections, he became an opposition Member of Parliament by virtue of Proportional Representation (PR) representing his political party the BNP until February 2017 when the country prepared for another snap election. While in the Ninth Parliament, he served in various Portfolio Committees such as Business Committee, Economic Cluster and Natural Resources. He has received awards and honorary appointments locally and internationally and these includes FIDE: Candidate Master (Chess), South African Institute of Consulting Engineer ALGOA Region, Design Awards 1998: Kwanobohle Multi-Purpose Sports Centre and Upgrade of Driftsands Treatment Works Port Elizabeth-1999. He is also a Patron of the Lesotho Chess Federation. Honourable Joang originates from Ha-Mathata, Maputsoe in Leribe. He is married and blessed with four children, three daughters and a son.